Comes in a ton of different colors. This is if you don't want to DIY. Gray and Yellow are super chic right now! Love this bold floral print too. This reminds me of a wedding dress. Who wouldn't want to have their bed look like it's wedding dress? Love this geometric design plus it's a little understated because of the colors. Love this. Not too in your face like some patterns can be. I love how this yells Spring. This would look amazing with pops of turquoise or grey. If you want pattern but not bold or trendy, this is perfect. First off, who doesn't love saying Sassafras? I love the gold and grey/browns in this. Modern chevron design. What's not love if you love chevron? Waterfall ruffles are definitely in right now. 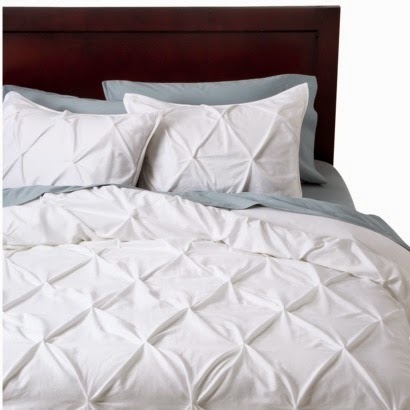 I wish I saw this comforter awhile back when I was in the search for one just like this! Love this color and pattern. Super bold, but would look lovely folded on the bottom of the bed with a white comforter underneath. To give a little glamor to a bed. Doesn't this look so soft? I just want to jump on it. Love this pattern. It has a little glam and little laid back look. What more can you say? This looks like a wedding dress too. This would be living like a queen. Price: $99. Have to spring extra for the pillows. I could not resist putting this on here. How amazing does this look?! As with all purchases, use your own discretion and due-diligence when purchasing. The purchase is between you and who you purchase from. 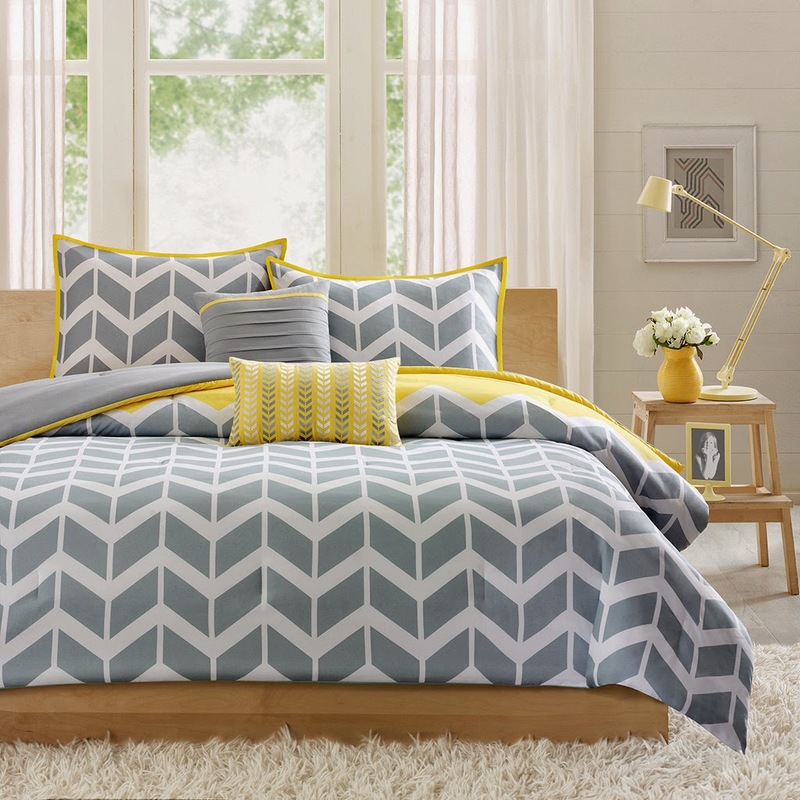 I love the bold geometric styling in some of the cheaper lines, but I am not a lover of the frilly bed linen. I personally love the plainer styles. Sorry, i searched for "ruched comforter". It was the second one listed. 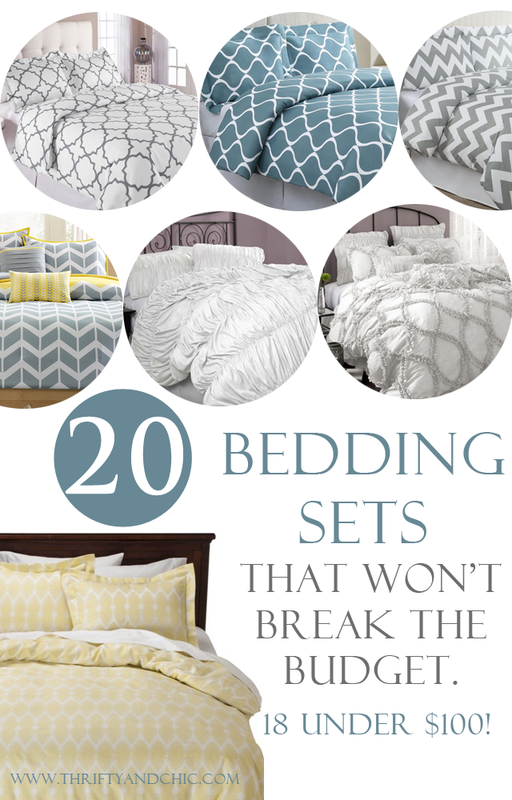 To be honestly, The bedding collection is so gorgeous!! I love Quatrefoil and Nadia Sets.... What about our hippie bedding sets? Please lt me know..